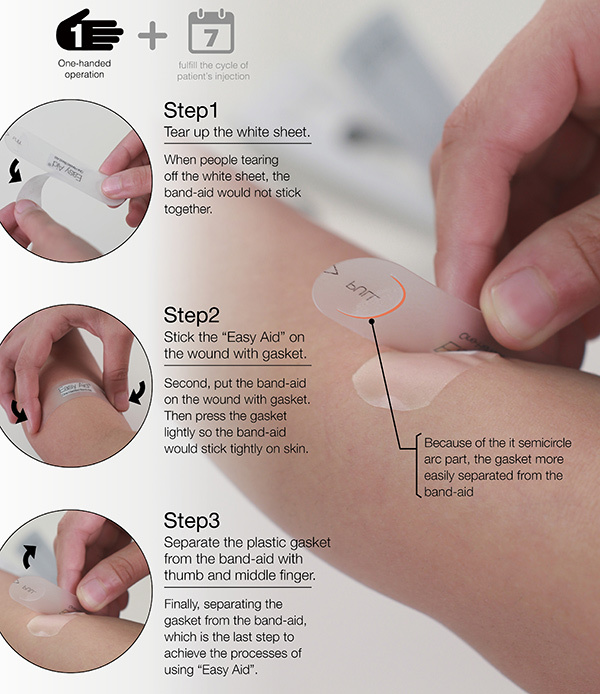 Many of you would probably have had the experience of struggling to put on a band-aid with just one hand, when the wound to be treated is on the other one. 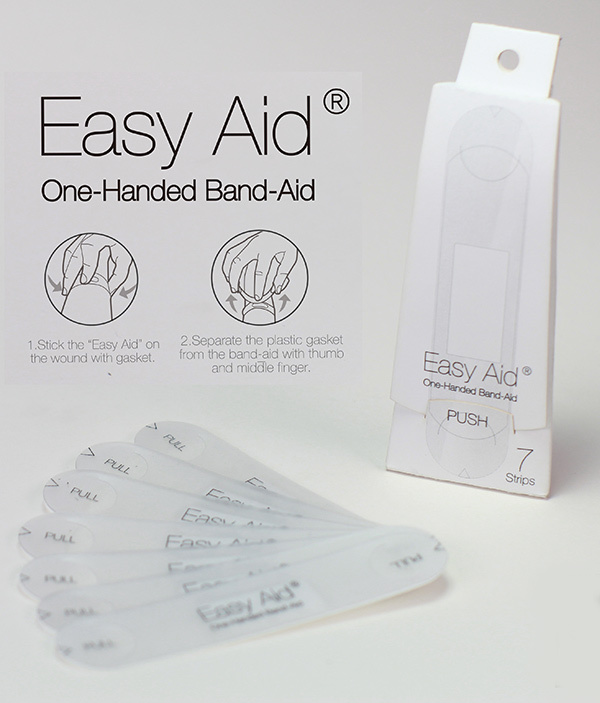 Designer Pei-Chih Deng has come up with an innovative solution—the “Easy Aid”, a one-handed band-aid that could be applied easily and quickly. 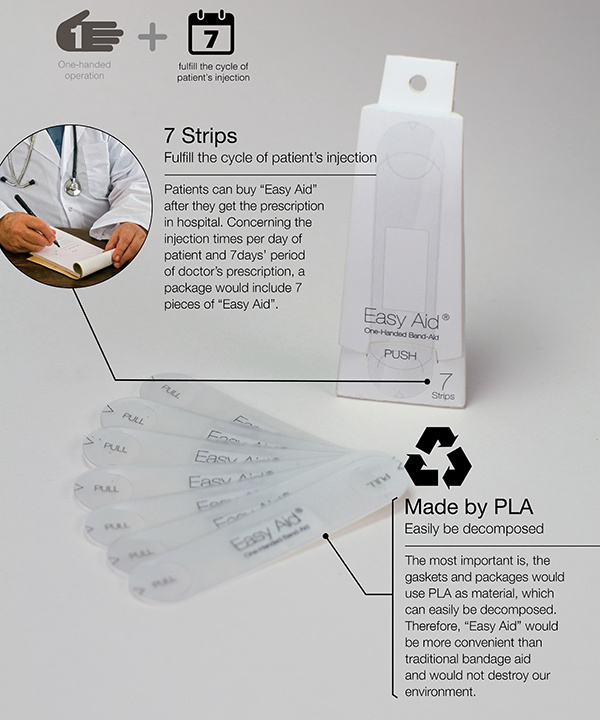 Made with patients who must self-inject—such as diabetics—in mind, the Easy Aid features a cleverly designed plastic gasket that could be easily pulled off with the thumb and middle finger. 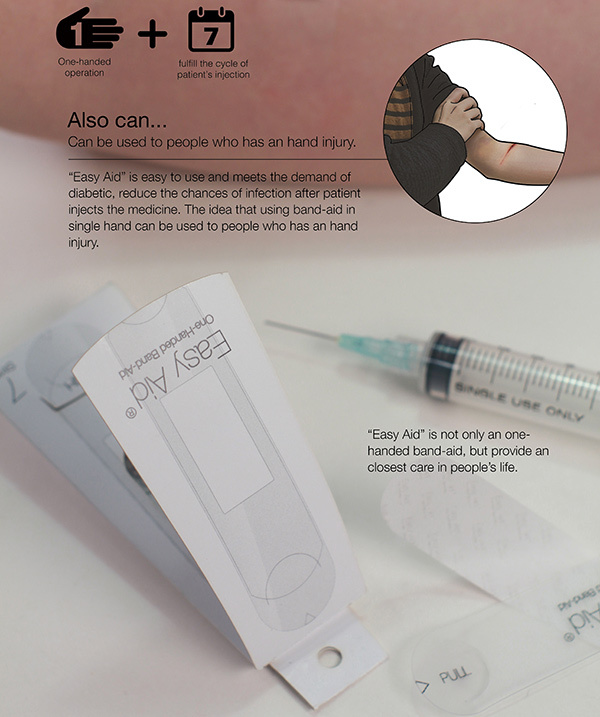 Find out more about this one-handed band-aid in the video below—would you like to have this in your first-aid box?